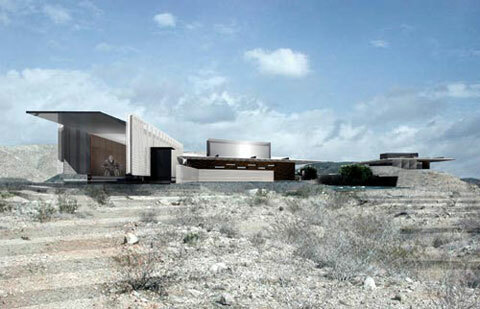 The Architectural League of New York has named its newest crop of Emerging Voices. Since its inception in 1982, the program has served as a coming out for architects and designers, giving promising new talents a platform to share their ideas and work. 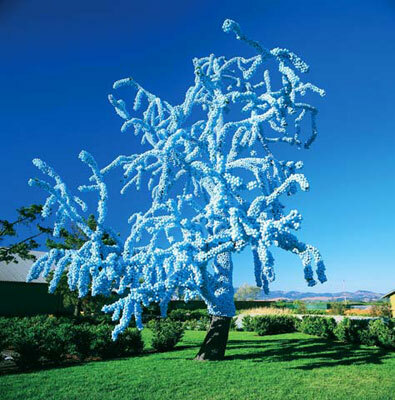 2005’s featured firms talk about beauty, vent pipes, blue trees, and asking whether or not a client actually needs a building. Taryn Christoff and Martin Finio founded their joint practice in 1999. 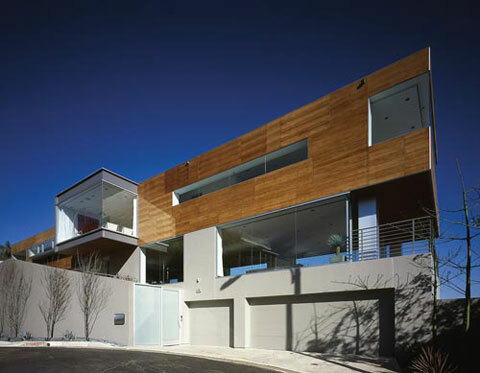 The firm has since completed many New Yorkkarea projects at an intimate scale, including the Catherine Malandrino store (2004), the headquarters of the Heckscher Foundation for Children on the Upper East Side (2005), and a beach house in New Jersey (pictured below). Their design for an aquaculture center in Aalborg, Denmark (above), was included in the National Building Museum show Liquid Stone: New Architecture in Concrete. While Taryn and I come from the culture of crafttit is part of our makeuppthe practice is evolving to the point where we want to test and even antagonize this sense of ourselves. Emerging technology interests us, but in the sense that we can use the formal possibilities of new modeling technologies to let us explore ways to make the world around us less familiar. It can make you question anew how buildings are built and how we live in them. We’re interested in the way it compresses the line between drawing and the realities of fabrication, and while we haven’t done as much of that yet, the promise is definitely there. 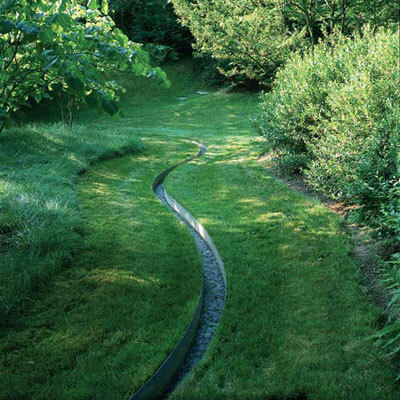 Claude Cormier established his five-member landscape architecture firm in 1995. 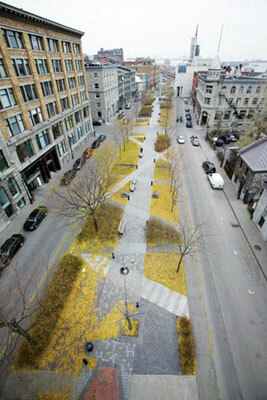 His work includes large-scale master plans for Montreal landmarks such as Place-des-Arts (2002) and Old Port (2000), urban plazas like Place Youville (pictured below), and small gardens such Blue Tree (above), an installation at the Cornerstone Festival of Architectural Gardens in Sonoma, California. 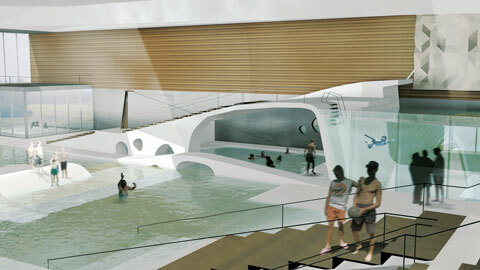 Cormier is currently working on a project for the University of Quebec and an urban beach for Toronto. renovation in Brooklyn. 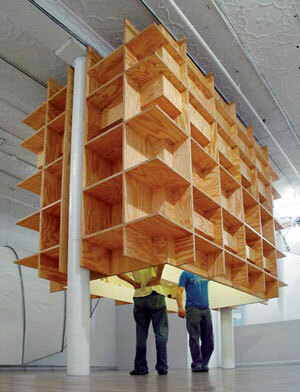 Both Hartmann and Crahan teach design studio at the New Jersey Institute of Technology. Photography, painting, and drawing are important parts of the background of our work. We’re fascinated with the lure of cities, even if we can’t explain the appeal of certain objects in them. Taking hundreds or thousands of photographs of things we are drawn to is a way of discovering what those things are and why we like them; the pictures reveal color and form, or density and sparseness, and those qualities inevitably inform the architecture created. When people ask how we choose the colors in our projects, I think of pictures of the incredible saturation of the orange-yellow glow of sodium halide lights on the street. We wouldn’t mimic the light, but we can draw on that atmosphere and its quality for a project. 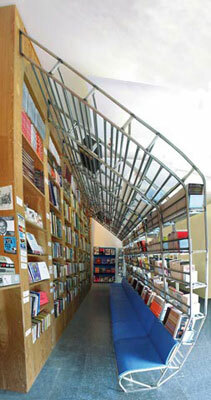 The repetition of vent pipes on a building is also appealing, so the same type of repetition shows up in the book cave we did for Shortwave Bookstore [pictured above]. 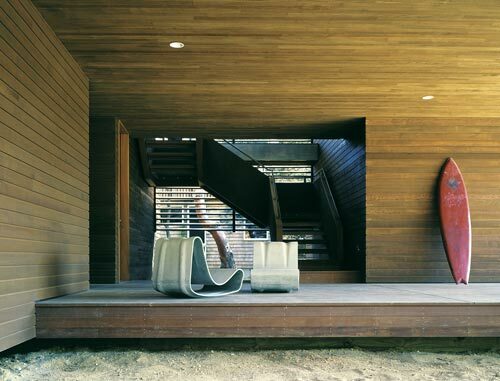 Pablo Castro and Jennifer Lee left Steven Holl Architects in 2000 to found OBRA. 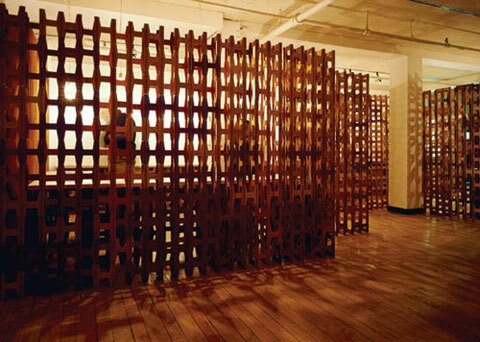 Recent projects include an exhibition at the Rhode Island School of Design entitled Architettura Povera (2004, pictured above) and the Tittot Glass Art Museum in Taipei, China (below). The firm is currently working on three projects in New York: Rockville Center Apartments, Motion Technology Manufacturing Facility and Offices, and a residence in Long Island designed with Steven Holl Architects. 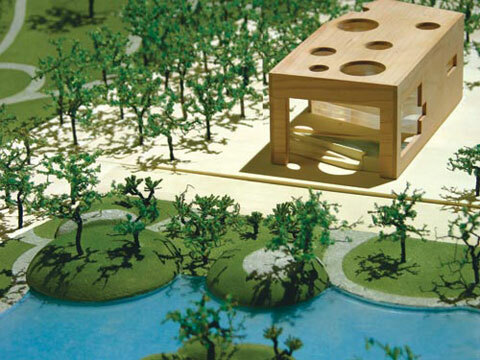 A house in San Juan, Argentina, will finish construction in late 2005.
we are always interested in things like trees, running water, and people, which can take either metaphorical or actual form. We all live in a technological age, and sometimes design seems to come down to choosing from a series of products. We try to address, subvert, and finally transcend that. We’re interested in laser-cutting, but not as an objective in itself. We want to use it in a way that looks beyond the limitations of the technology itself, and towards its unpredictability. Since so many things can be homogenized by technology, we want to look at the potential of architecture to bring back a sense of identity. Hadrian Predock left his father Antoine Predock’s firm in 2000 to start a practice with John Frane. 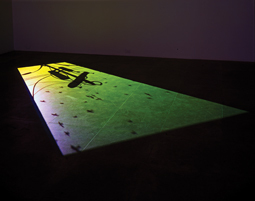 The duo’s work was included in the 2004 Venice Biennale, and current projects include the Central California Museum of History in Fresno, and two projects for Zen Buddhist groups: the Desert Hot Springs Zen Retreat in California (pictured above) and the Center of Gravity Foundation in northern New Mexico (below). They are also collaborating with the elder Predock on an inn at the French Laundry in Napa. We don’t like the word contextualism, because it is such a codified and constrained term. So often, when people use it, they are just referring to other architectures. You have to ask What is context?? It can be the culture of the people or an artificial, imposed landscape as much as anything original. At the French Laundry, there is both the culture of Napa, and also [chef] Thomas Keller’s conceptual approach and set of tools. In the Mojave Desert [Zen retreat], we are dealing with a set of positive and negative environmental forces. There is always wind and usually people try to block that force or funnel it awayyit is a negative. But you can also use it to elaborate the spatial sequences you are creating. We think you find deeper meanings and more intricacy when you start to think about all of these relationships and interactions. 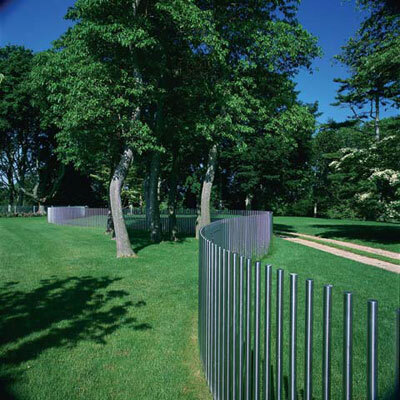 Douglas Reed founded his landscape architecture practice in 1993, and was joined by principal Gary Hilderbrand in 1997. Recent projects include the Children’s Therapeutic garden in Wellesley, Massachusetts (pictured above) and Hither Lane, a private garden in East Hampton (below). The firm is currently working on several projects in the Boston and Somerville area, such as the waterfront near the New England Aquarium, a commission from Harvard University, and, with Tadao Ando, the Sterling and Francine Clark Art Institute in Williamstown. in a long tradition, but in contemporary terms and with contemporary expression. In our work, we look for clarity, brevity, and simplicity. It is a process of reducing a complex series of elements to something apparently simple and serene, but not simplistic. 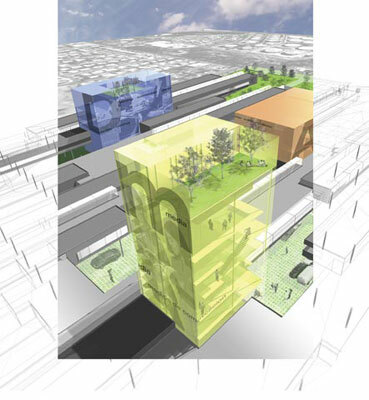 To endow an urban site with those qualities is a big challenge, but I think a great thing. Some of these characteristics are really ancient things, and we aren’t afraid of gestures that are emotive or mysterious. John Ronan founded his solo practice in 1997. In 2004, he won the competition to design a 472,000-square-foot high school for Perth Amboy, New Jersey (pictured above, left), and completed an addition to the Akiba-Schechter Jewish Day School in Chicago’s Hyde Park neighborhood. Current projects include a youth center for the South Shore Drill Team in Chicago (above, right), houses in Chicago and on Lake Michigan, and a residential conversion of the Yale Steam Laundry in Washington, DC. I tend to work from reality backwardssI start off by asking what can I do with this?? instead of developing a notion, and then making that idea conform to what is already on the ground. That is a part of my interest in programmatic sustainability, or how buildings change and evolve over time. 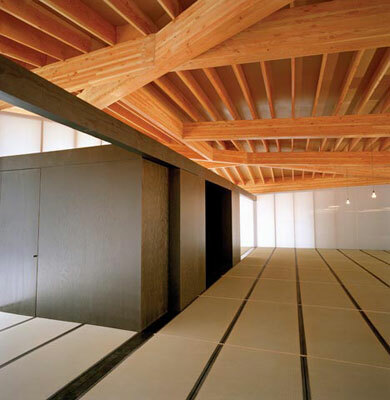 That often means designing spaces that can be manipulated by their users; the focus is on space over form. I start with spatial exploration, but material investigation also comes in very early in the process, and can have a truly generative role. Zoltan E. Pali established Pali and Associates in 1988, and in 1996 Jeffrey Stenfors and Judit Fekete joined Pali to found Stenfors, Pali, Fekete:architects, or SPF:a. 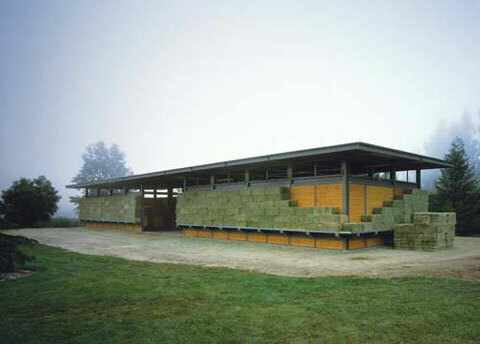 The firm’s recent work includes barn at the Sharpe House in Somis, California (2004, pictured above, left), and the Bluejay Way Residence in Los Angeles (2005, above, right). SPF:a is working with the Nederlander Organization on a project to restore Los Angeles’ Greek Theater in Griffith Park and is transforming a warehouse into a charter school, also in L.A. Some people want to wake up and reinvent architecture every Monday morning, but many of the results disappear pretty quickly. I’m not interested in being a formalist. Playing around with form is an un-objective way of going about design. I try to be as clear, concise, and objective as I can, so that it is not just my ideas that define a project, but what is there. I also enjoy the interaction with creative clients, and finding out what is in their heads.